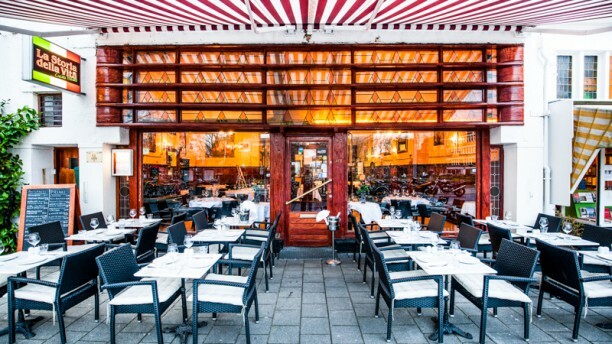 When you're still outside, you're in bustling Amsterdam, once you step in this restaurant, you're right in Italy. La dolce vita, that's what this restaurant is all about. Enjoy authentic Italian lunch and dinner dishes which are prepared with lots of love. Like La Mamma rules the kitchen herself. The food was beyond delicious. This is a cozy, no frills restaurant with friendly service, tasty food. The decor could use a bit of an upgrade, but otherwise the price quality ratio is fantastic. We left happy. The service started off ok but towards the end they just toook coffee orders for half the table then gave up. We had to ask for our discount. Which is kinda awkward. We had a nice dinner here. It wasn't a quiet place, several children at the table next to us were lively. The server/ owner? Made sure we were happy with everything, and because our appetizer order got lost, she gave us a glass of wine on the house. The food was very good, the place was beautiful. But it's not the place for a quiet intimate dinner. Uitgebreide, gevarieerde, heerlijke antipasti, een lekker pastagerecht met truffelsaus en als dessert pistache ijs en een chocolade-gerecht, alles verrukkelijk klaargemaakt, heel attente bediening en een gezellige ambiance: kortom alle ingredienten voor een fijne, gezellige avond! We were very happy with the service and food! Very romantic place as well. Decoration was nice and there was live piano music. Prachtige locatie en lekker eten. Jammer dat het personeel verrast was over onze vegetarische keuze, terwijl ik dat via de reserveringssite wel had aangegeven. Gelukkig kregen we wel een mooi gevulde antipasti als voorgerecht. Het toilet mag beter bijgehouden worden (haren op de bril, geen toiletpapier). En het hoofdgerecht (truffel ravioli) had iets volumineuzer gemogen. Bij het AH keuzemenu maar 'keuze' voor 1 dessert en dan ook precies wat ik nooit zou kiezen, dat was jammer. Spent a nice evening in company of four. Nice looking place with somewhat old feeling decor, good food and great service! Nice decor, nothing exceptional, and good service. The quality of the food is less than average though: cheap olive oil, a weak tartuffo sauce (difficult to mess up such a tasty dish), old ruccola... These are the kind of amateur mistakes you can except regarding food. Good but small desert. My recommendation is to re-do the menu. Overall I find it expensive for what it is and non authentic. Very beautiful, good location and awesome food. The price is worth, especially with the AH zegels. Service is good but a bit slow. Great antipasti plate, great dessert. Well prepared and presented main course (shrimps and spinach rolled into a sea bream fillet) with a friendly service. Wines are also reasonably priced. One recommendation; cutlery could have been checked for cleanness.